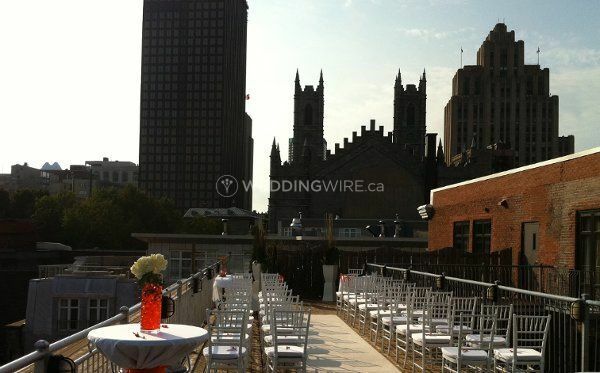 Mariages à Bras Ouverts: Célébrant Montreal-Quebec Officiant ARE YOU A VENDOR? 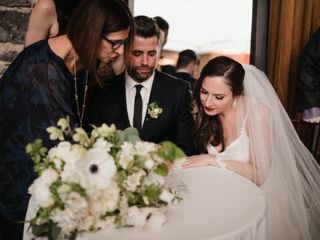 Mariages à Bras Ouverts is a Montreal-based company that specializes in performing civil wedding ceremonies for all couples in Montreal, Laval, Saint-Sauveur, Esterel, Mont-Tremblant and Estrie. 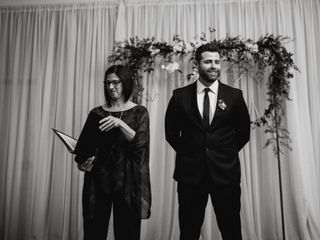 A wedding ceremony is an intimate and important part of the wedding day, a veteran officiant is what you need to make it personalized and run smoothly. 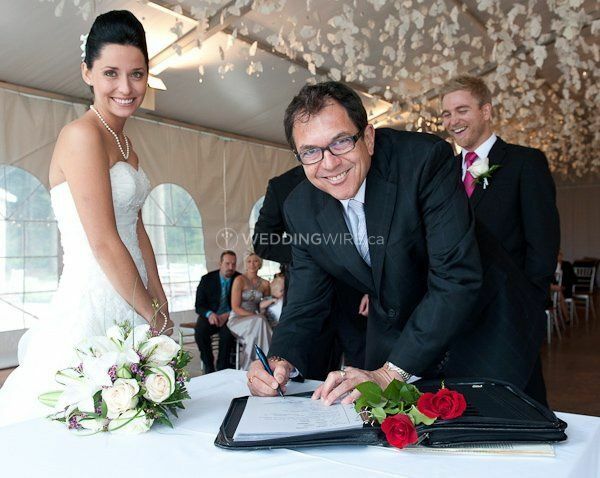 Reverend Michel Boulanger is the founder and head officiant behind this company. He is a Commissioner for Oaths for the entire province of Quebec. 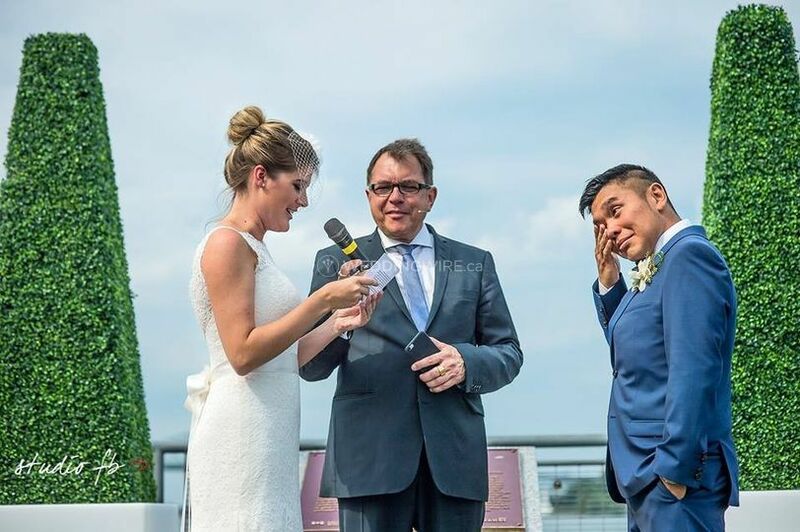 As an expert officiant, he is well versed in original discourse that creates unique ceremonies. He was very accommodating and our guests liked him too. We were very happy with Michel. He is attentive and professional. Michel fave is some very good recommendations for our service. He made isn’t very easy for us and we felt very reassured with him. He gave us a beautiful service. 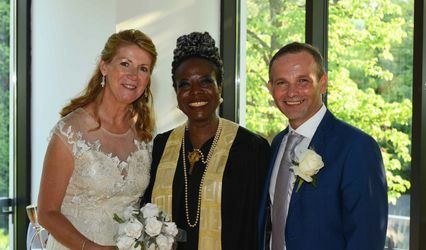 We didn't really know what to expect when it came to booking a wedding officiant, but from the moment we met Pascale, we knew we would be in good hands. 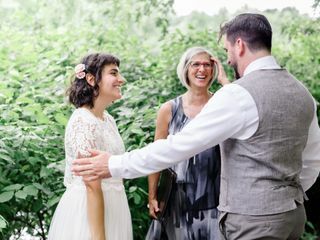 She is incredibly warm and friendly, made our ceremony intimate, helped us through our paperwork (we were from outside the province), and even helped us find a witness for our elopement. 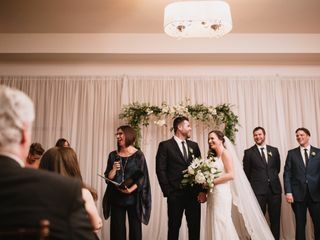 The beautiful ceremony she crafted felt intimate and full of the history of our relationship— she worked some incredible magic to make it all truly memorable. Couldn't thank her enough or recommend her enough! 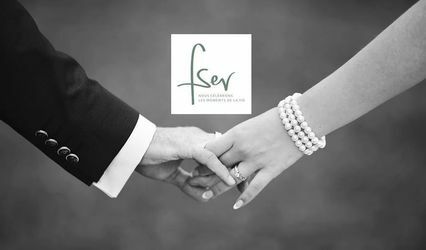 We met with Pascale Charbonneau with Mariages à Bras Ouverts and we knew immediately that we wanted her to be the one to marry us! 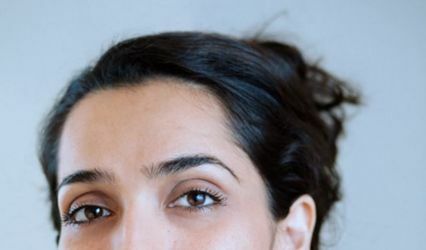 We felt that she completely understood us and what we wanted and we realized very quickly that our personalities and our values seemed to completely align with hers. She made us feel extremely comfortable from the minute we met her. 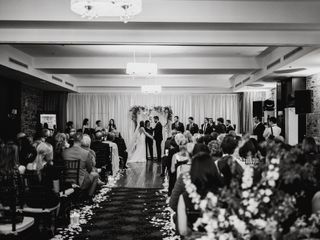 Our wedding ceremony was absolutely perfect. It truly reflected who we are as a couple--it was absolutely perfect. Also a quick tip for those that might not think about this--Pascale steps away to get out of the picture for your first kiss. 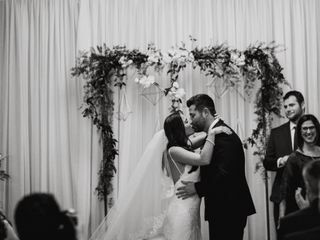 This might not be something you think about when searching for your officiant, but Pascale knows that the picture of the couple's first kiss should just have the couple in the picture without the officiant standing behind the couple. 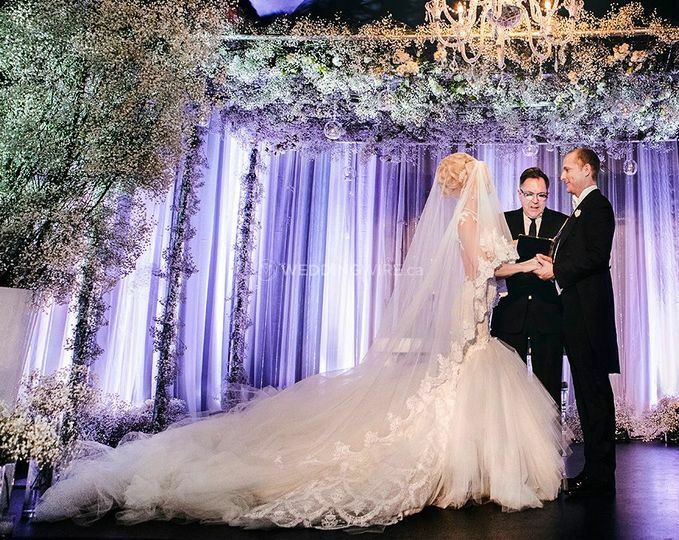 This is a true understanding of what's important to the couple and a great attention to detail. 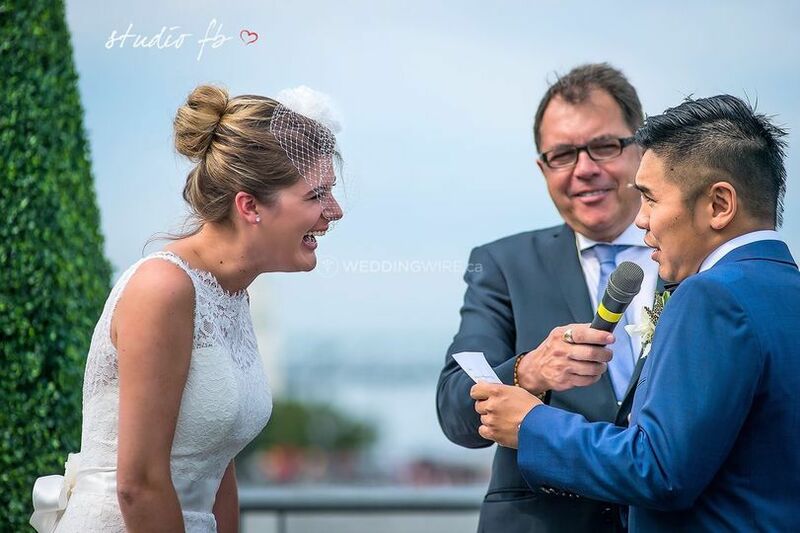 Pascale made us laugh, cry and above all, made the ceremony one of my most treasured parts of the day. Thank you so much for everything Pascale! HIGHLY RECOMMEND! Michel is amazing! 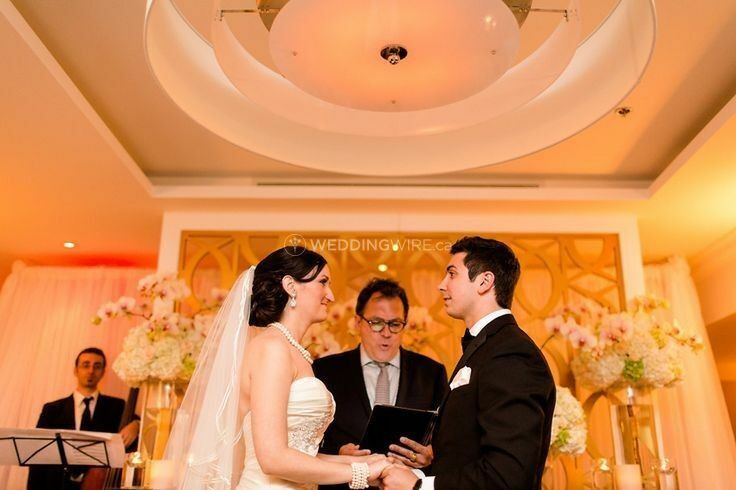 He officiated our ceremony and made sure to include the guest and personalize our ceremony. He was able to make people laugh and still managed to get a few tears. All night our guests were asking us "where did you find that guy... HE WAS AWESOME!" I highly recommend doing the special wine box ceremony. THANKS MICHEL! 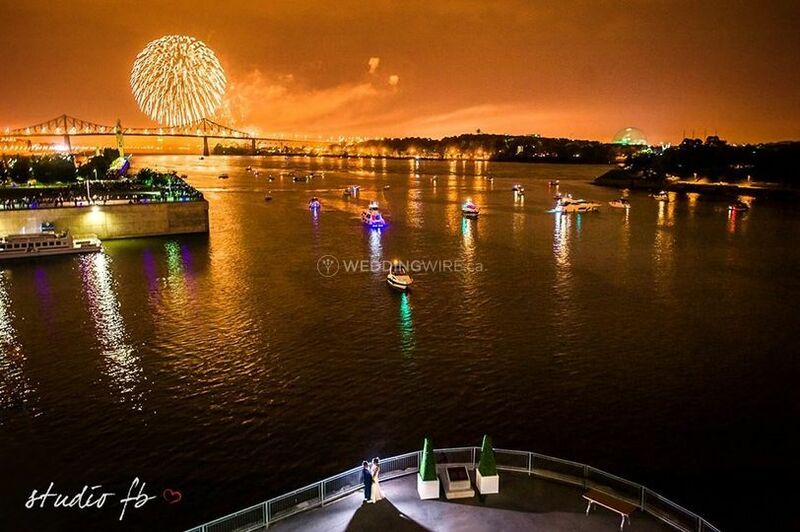 Michel Belanger was great to work with - extremely responsive to emails and very organized. From the minute we met him, we could see he loves what he does and puts alot of energy and pride into the ceremony. 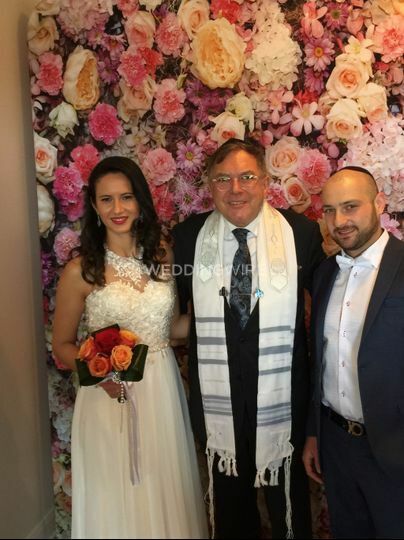 We wanred a simple, civil, non-religious ceremony with something a little bit spevial. 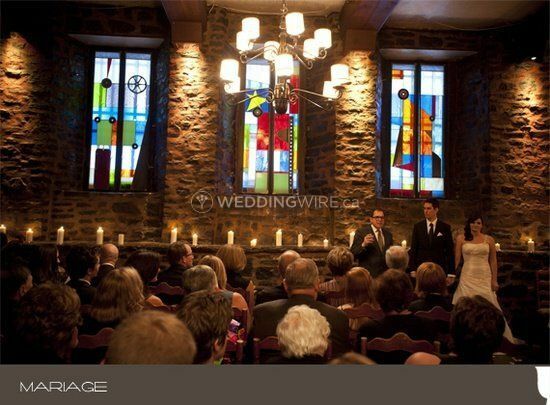 We were able to edit the template of vows and we chose to do the wine box ceremony. We received so many compliments about Michel - how happy and energetic he looked and how well he spoke. The only negative thing we can say is that he could have slowed down when speaking at times! 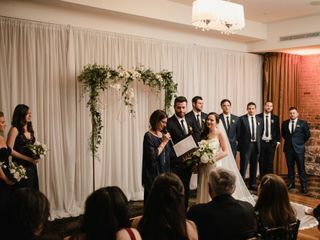 But definitely not a deal breaker, just that our guests wee mainly anglophone and he has a quebecois accent so once he starts speaking faster, it becomes a bit tricky to understand a few words here and there.